For over 60 years, Pearl Izumi's mission has remained the same: maximizing performance through the development and revolutionization of sporting textiles through high-quality sportswear. 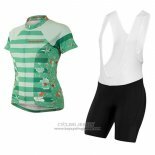 Pearl Izumi cycling jerseys This elegant women's SELECT jersey combines technical fabric with two rear storage pockets. With 100% polyester, easy to wash, dry, is a great choice for ladies riding. Welcome to buy Pearl Izumi cycling jerseys.